Dave plays guitar, flute and saxophone and also has a special interest in the science of music and musical instruments. Guitarists, more than any other instrumentalists, need to understand Equal Temperament, or at least the basis of it. Why? Because their instruments are fretted for Equal Temperament and the strings have to be tuned accordingly. Pianists don't need to worry about it because, although their instruments are tuned to Equal Temperament, the tuning is left to a professional Piano Tuner. Beginners usually do not know the technique of playing harmonics, but more advanced players should. Many are then lured by the idea of using the harmonics available on the 5th and 7th frets to tune their guitars. This inevitably results in a badly tuned instrument. I'll explain why later. Two notes, sounded together, form an 'interval'. Slight detuning of the interval results in audible 'beats', or a pulsating sound. Guitarists often try to eliminate all such beats, e.g. by playing a full chord of E then adjusting the 3rd string. But making one chord 'perfect' will only make other chords worse. In Equal Temperament, the only intervals that do not beat are the unison and the octave. Eliminating beats from any other interval is a big mistake, also to be explained later. Unfortunately, there is another source of beats, even in a perfectly tuned unison. For example, an A on 6th string 5th fret might be in perfect unison with the open A on 5th string, yet still produce audible beats. The reason is that the strings are not fully independent, being coupled by the vibrating bridge (and to a lesser extent by the airborne sound wave). Vibrational energy is passed back and forward between the two strings. This exchange between the strings is the cause of the audible beats. Their character is different from detuning beats but it takes some experience to hear the distinction. To the physicist, it is an example of 'coupled harmonic oscillators'. The effect is far less obvious in solid electric guitars where the bridge does not vibrate. Guitarists sometimes complain that their instrument is impossible to tune correctly. Apart from cheap 'souvenir' guitars brought home from the Costa Brava, this is actually pretty rare. It takes a highly skilled luthier to make a truly fine guitar, but even the least competent should manage to get the basic dimensions correct. Far more likely is that the strings, not the guitar, are at fault. Check each string in turn by comparing the 12th fret harmonic with the 12th fret stopped note. They should be exactly the same. Very slight random variations are normal, but if every stopped string is equally sharp (or flat), you may indeed have an ill-made instrument. (But also check your stopping technique - you may be pressing too hard or at an angle to the fretboard). If the stopped notes are unacceptably different from the harmonics, buy some new strings. Good quality strings start life with a constant linear density (mass per unit length), but the effects of corrosion from left hand finger acids and wear from right hand plucking eventually causes unevenness along the length of the string. The 12th fret harmonic will always be correct, but the stopped note can be well out. Equal Temperament is a musical tuning system that divides the Octave into 12 geometrically equal steps. Each step is one semitone. When moving up one step, the frequency (or pitch) increases by 2^(1/12). Using this system, the Octave (12 semitones) is perfect, because 2^(12/12) = 2^1 = 2, an exact doubling of frequency. 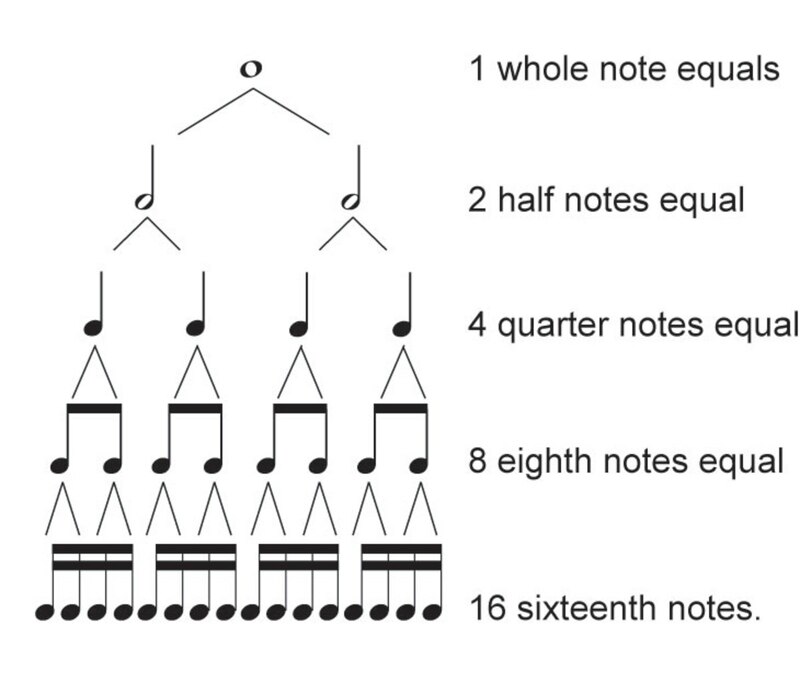 But the Fifth (seven semitones) is 2^(7/12) = 1.498 times the root. A perfect fifth, on the other hand is exactly 1.5 times. The difference is small, but it is significant. If you want to hear this, play the 6th string 7th fret harmonic. Now stop the string at the 7th fret and play the assisted harmonic at the 19th fret (effectively the new 12th fret). This note will sound very slightly flatter than the 7th fret harmonic. In Equal Temperament tuning, the slightly flat note is the correct pitch. A common reaction is that Equal Temperament must be 'wrong'. Surely it's better to use perfect intervals instead? The theoretical problem with this is that you are then restricted to very simple music that remains mostly in one key. If you progress through the 'cycle of fifths' (C, G, D, A, etc) by perfect intervals, when you finally get back to C (after 12 steps) you'll find that it's a very different C from the one you started on! However, by slightly flattening each fifth, after 12 steps you'll arrive back exactly where you started. Thus Equal Temperament slightly compromises every interval (except unison and octave) so that all keys are equally acceptable. This brilliant invention is what made Western music so harmonically rich and varied. The practical problem, for a guitarist, is that your instrument has a fretboard layout mathematically designed for Equal Temperament. Unless your open strings are correctly tuned, all your 'cross-string' intervals become arbitrary. Now we can explain why 7th fret harmonics should not be used to tune the guitar. Suppose you tune string 6 to a reference. If you then tune string 5 to string 6 by exactly matching the harmonics at the 5th and 7th frets, your 5th string ends up very slightly flat. You can then compound this error by tuning the 4th to the 5th in the same way, then the 3rd to the 4th. Progressively, each string gets slightly flatter. Finally, you can tune the open 2nd and 1st strings to the 7th fret harmonics on the 6th and 5th strings respectively, resulting in slightly sharp 2nd and 1st strings. The resulting mess sounds extremely unpleasant, especially intervals that use the very flat 3rd string with the sharp 2nd string. (The first position C major chord is particularly distasteful!) Many people 'tune' by harmonics in this way, convinced it's the 'correct' method, then make ad hoc adjustments (usually to the 2nd & 3rd strings) to try to salvage the result. This is doomed to failure. The fact is, your instrument is built for equal temperament (by virtue of the mathematical positioning of the frets) and the strings have to be tuned accordingly. With a guitar, you can't opt out of equal temperament. If you want to employ 'Just Intonation' or 'Meantone Intonation' you need to take up the cello or violin instead. Use a concert A tuning fork to tune the 5th string to A. You may use the 5th or 12th fret harmonics if you like, as octaves (and double octaves) are perfect. When the 5th string is tuned, don't alter it again! Tune the open 6th string to this note (one octave down). 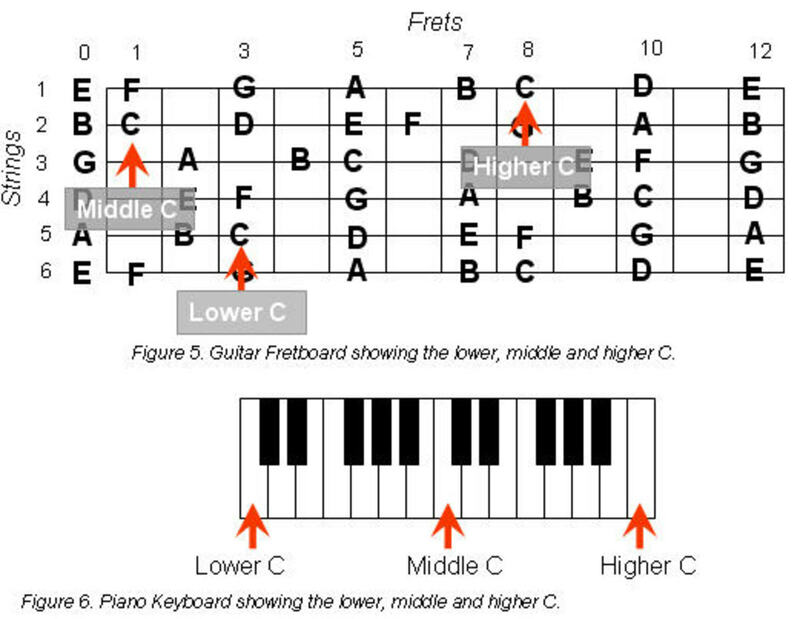 If you prefer, you can use the 12th fret harmonic for unison tuning. Tune the open 1st string to this note (one octave up). If you prefer, you can use the 19th fret assisted harmonic on Master String 5 for unison tuning. Tune the open 2nd string to this note (one octave up). If you prefer, you can use the 14th fret assisted harmonic on Master String 5 for unison tuning. The advantage of this method is that any slight detuning tendency is not passed cumulatively from string to string, as every string is tuned directly to the Master String. However, you should only use this method if your 5th string passed the 12th fret harmonic test described above. If your 4th or 6th string is more accurate, the method can easily be adapted, but as concert A tuning forks are the most readily available, the A-string is best. With these, you get what you pay for. They are all guaranteed to be tuned to Equal Temperament. But some are more sensitive than others in detecting the accurate 'in tune' point. They are particularly useful for public performers who may have to tune in noisy environments. However, they are not particularly helpful in training your ear. Whichever method you use, learn to trust it. If you tune by the Master A-String method, don't then play a major chord and start fiddling with individual strings. Remember that Equal Temperament is not perfect in any key, but it is the best compromise available, it is the tuning your guitar is designed for, and it will sound equally OK in every key. Pitch pipes. It's OK to use the A-pipe only, then follow the Master A-String method, but don't use all six pipes, as they are rarely accurate enough. With cheaper ones, the pitch depends on how hard you blow! Pianos. Again, take one note from a piano, then tune your guitar. But don't expect the piano to be in tune. Most aren't. Electric pianos and electronic keyboards should be OK. Agreed, you can't tune using harmonics. Despite the limitation of perception as described, in the full context of tuning, harmonics are unacceptable. The discrepancies between equal temperament fifths and perfect fifths are cumulative as you go string to string, and eventually you can hear the pitch difference even if the notes are played separately. In addition, there would be problems because of chords. E.g., if you played the same note on adjacent strings (one fretted), at the same time, you would hear an annoying beating even though the ear would not detect a pitch difference if the notes were to be plucked one after another, not overlapping in time. The problems apply also if you are playing with other instruments. David & Bluefin - thanks for contributing. There is no such thing as perfect tuning, except that Equal Temperament is mathematically (but not harmonically) perfect and therefore repeatable. It is also what has made Western harmony possible. I live in a part of Arabia where music is rhythm and unison melody (doubled at the octave and double octave) - because the intervals in the scale they use don't lend themselves to harmony. When you tune a guitar by harmonics, whether you play the harmonics sequentially or together, you do end up with a less well tuned instrument than if you use the master A string and tune by unison and octave. If you insist that the difference between perfect and tempered fifths is inaudible, you have to explain why harmonic tuning fails. Paraglider, I wrote it backwards, sorry. The even tempered fifth is about 2 cents flat compared to the perfect fifth, rather than the other way around. Still, you did say that you can hear this when they are played sequentially, and that's what I was disagreeing with. Your example gave the 6th string 7th fret harmonic B (perfect fifth) versus the 6th string assisted harmonic B (even tempered fifth). I'll state the conventional wisdom (which I'm sure you know) just for reference. 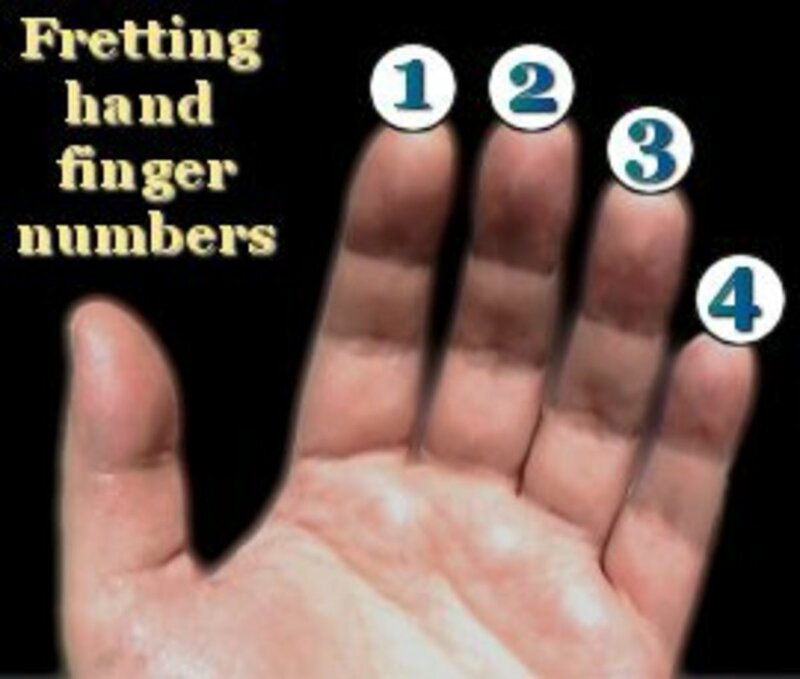 The standard rule of thumb is that 5 cents is the least discernable pitch difference that a person can hear when notes are played not overlapping in time. Obviously this is different for different people and pitches. I did try an ABX test of this on the web a few years ago and it was true for me. I can try to find it if you'd like the url. I'm confident that a person can't tell a 2 cents difference when the notes are played separately. I tried it on my guitar last night, as you suggested, with my electronic tuner on your two harmonics. In fact the assisted harmonic (which should be flat) was 5 or more (it wavered) cents sharp! Obviously this is due to imperfections in my guitar. I really doubt that even the most expensive guitar can get the accuracy down to one or two cents. Certainly you can't take a guitar frets and harmonics at face value to test human perceptions of such fine differences. I conjecture that in your case it could be imperfections in the guitar, artifacts of non-ideal strings, resonances, pyschological effects from different note qualities, etc. Not trying to insult your auditory senses, which are probably better than mine! David, I am in complete agreement with you. I was talking only about fifths. Other intervals like major and minor thirds differ in their even tempered value, and just value, by an appalling 15 cents or so! So yes, this has to be managed exactly as you say. I'm not a real expert in this stuff, and if I'm missing some point I'm happy to be corrected, but I have put in some time reading in this area. Bluefin, I may be misunderstanding the context of your comment but it sounds as though you are saying that we don't perceive the imperfections in our even-tempered system. While it may be true that people aren't able to distinguish tiny frequency differences in the ABX tests you mention, it's certainly true that we do recognize these pitch differences in the context of other musical notes. For example in any good string quartet, a large part of their rehearsing is about adjusting the intonation of every note for specific purposes. A note's intonation might be adjusted melodically or harmonically. In a melodic intonation the musician is just trying to achieve the best possible sound of the note in the context of the rest of the phrase that he or she is playing. In a harmonic intonation, you are looking to harmonize the note with the rest of the chord that the other musicians are playing. In this latter case, the intonation depends on the note's role in the chord. For example the note E that is tuned to be the major third of the C chord is different from the note E that is tuned to be the fifth of the A major chord. String quartet musicians even talk about these concepts as the "E of C" or the "E of A", etc. So these differences are not only perceptible but they are constantly being considered and managed by musicians who play fretless instruments. I might be totally misunderstanding your comment but I wanted to add this observation because I think it's fundamental to Paraglider's point, which is that there is no such thing as perfect tuning. Bluefin - what I actually said was: "If you want to hear this, play the 6th string 7th fret harmonic. Now stop the string at the 7th fret and play the assisted harmonic at the 19th fret (effectively the new 12th fret). This note will sound very slightly flatter than the 7th fret harmonic". Try it - it does. Paraglider, Nice article, and I liked your method of tuning from a master A string. Leaving aside the subtleties of temperament, which I did know, I had always avoided tuning using frets, but reading your method, I suddenly realized why not? You're going to play frets, so better to involve them in the tuning than just use the open strings, even if you do them perfectly. If you know what I mean. Rob - yes. The absolute pitch you use for your master string doesn't matter. A440 is standard Concert pitch, but if you have reason to use A432 the same principles still apply. Do your basic principles still hold true if I change A from 440 to 432? (Ben - interesting enough comment but deleted because of outgoing link to your own website). Hi Ronald - if you are happy with the results you are getting, that's fine, but I'd suggest that your approach is harder to understand and relies on a piano tuner's ear. I find that using the D string A harmonic for A 440 and using the D string which sends out the D fundamental, A, and F# as the "master tuning string" works better. This way A and D can be adjusted beatless, and F# has 5.8 beats per second. Split the error, if one is heard, using all three notes. I have done this as the result of my piano tuning experience. I am right on with my guitar partner who uses an electronic tuner. The D string is only flat by one beat in six seconds; that does not matter. Hi Mike - I don't have that data to hand, though I could work it out (as could you!) This article is mainly intended for classic guitarists where the inharmonicity of nylon strings is less of an issue. Thanks for commenting. Very nice article. I would like to have a table of target beat frequencies for the stubborn people like me who just can't quit using that 7th fret harmonic though. I have never got it together to calculate them. Do you have one? I like the purity of the concept of tuning by harmonics. One cavil on your article: the inharmonicity of strings creates some potential problems for your method, as it means that the octave harmonics are not correct octaves. I believe that this becomes an issue for a piano tuner: the topmost strings may need to be 15 cents high to match the harmonics in much lower strings :-( However, it may be that this inaccuracy can be disregarded in the range you are using. Yes, the pick-up waveform mirrors the string vibration and the fundamental is present. Electronic tuners are certainly getting better and cheaper and force people into using equal temperament by default. I would still always encourage beginners to learn proper manual tuning first, before relying on technology. It's good ear training. That makes perfect sense. I really have always focused on the string dynamics and haven't thought about the resonation of the body. Given the relative sizes, this is obviously a major factor. With a solid-body/electric, I presume the simpler model prevails and that the pickup signal looks a lot more like an ideal string (at that particular pickup point). BTW, I'll guess that the recent emergence of cheap, accurate, headstock-clamp tuners will eliminate many of these issues. I just bought a $15 tuner of this sort ("Snark") that performs perfectly. With a few of these laying about within easy reach, I may have matched beats for the last time. Hi John. The resonant frequency of the classic guitar body is (close to) a fifth above the bottom E. The fundamental and overtones of bottom E are present in the string vibration, but the guitar body is not capable of reproducing the fundamental. It's analogous to listening to an orchestra on a small radio. You hear the double basses by their transients and overtones, and your ear interprets this as a bass note which genuinely doesn't exist. You can prove this by playing the guitar into a microphone connected to an oscilloscope. In the bottom few semitones, the fundamental is barely present. Wonderful and concise summary of a commonly misunderstood topic. Thanks. However, I do not understand your comment "the open E is not a true note because the fundamental is completely absent". Why would the fundemental not be present? Paraglider, I've been studying and teaching guitar for 30 years and have read countless explanations of equal temperament and the guitar. I've even written a few myself, and I just want to tell you that I think your explanation is possibly the best I have ever seen. Brief, clear and empowering. Really nice writing, my friend. Col, there are a few reasons for favouring the A, though as I say in the article, you can use E or D if you like. Classic guitarists often play with orchestral musicians in chamber groups, where everyone tunes to an A. It's good to be able to fall in line and not ask for an E.
Also, the open E is not a true note because the fundamental is completely absent. The ear is fooled into hearing the low E because the sequence of overtones is present. This may not be a reason not to use the E string, but it is an interesting fact! Nice article thankyou explainng the differnces in the 7th fret harmonic and 7th fret note, and explaining tuning to a master string. Tuning to a master string would stop cumulative errors. Wouldn't it be simpler to use the bass E string as the master string as there are two E strings? Do you recommend the Master A method because of the A tuning fork or can you see any other advantage over using the E string? You've nailed it in that last paragraph - 'playing and jamming with others'. Unless everybody tunes to Equal Temperament, there is no standard across the band. Whose 'special compromise' is to be the master for others to follow? If we all do our own thing, we have tuning anarchy! It makes perfect sense. Also my ear is not perfect (some days more that others) so I get cumulative errors. My system detects the error but doesn't help with correcting it. With the master string system even on "bad ear days" I could get pretty close. If a chord sounds sour just re-check the bad sounding note(s) against the reference string. I recently went to see Martin Simpson. He spent ages retuning the guitar for every song, his method seemed to be based on finding the best compromise tuning for the chords and scale runs to be used by each piece, to get a particular distinctive harmonic flavour. The result sounded fantastic. Fortunately he had a good line of chat to cover the delays. It was this that prompted me to search the topic of guitar intonations which led to your article. I still mean to experiment with that style of tuning for the type of solo, modal improvisations that I've been getting into recently. But for everyday playing and jamming with others the master string is the way to go. I'll be passing it on to everyone I know. Noel - glad the master string method works for you. It should, on any reasonable guitar. Your method should also work in theory, but I think the problem is the two times when you are tuning an open string an octave below a fretted higher string. It is hard to tune the lower note of an interval because the lower note is by definition the bass of the interval, making the upper note sound wrong. Does that make sense? After years of guitar playing the concept of master string tuning never occurred to me. But I already love it. I have an antoria jazz guitar which is really hard to tune by any other method but this one sorted it out in seconds. My normal time worn method of tuning is by octaves starting from the top and bottom E strings. play the the 3rd fret on the 6th sting and tune the 3rd string one octave higher, then tune the 5th string an octave below the 2nd fret on the 3rd string, the 2nd string an octave above the 2nd fret on the 5th string and the 4th string an octave below the 3rd fret on the 2nd string. If all has gone well then the 2nd fret on the 3rd string should be in tune with the top and bottom strings. trouble is that some times I find myself going round and round this loop for ever trying to get everything to sound right. I suspect that this is a sign of a badly set up instrument. Yes, that's fair comment, thanks. The difference between the perfect and the tempered 5th is very small, but it is discernable when the two are played sequentially or together. I agree with you that the most important thing is to understand the subject so you can apply judgment. That's why I was careful to explain ET before launching into any 'rules'. Great. What you describe seems self-consistent. I totally misunderstood. This is the 'assisted' part. You have a hard rule about not using the 7th fret harmonic. This only gives an error of less than 2 cents. The problem is that 2 cents accumulates systematically. That why we don't use the perfect 5th intervals with harmonics while tuning down the line. However, using the master A and then tuning your top and bot E strings with the 7th fret harmonic will usually lead to better tuning because the fret positions are never built to 2 cents of tolerance especially when combined with bridge position, string variation, finger pressure, finger position, etc. The important part is to understand what is going on and make the choice based on your guitar. The problem is when guitarists learn that you must avoid the 7th fret harmonic, they take it as a rule and when they see others using it they think they know something that the other doesn't. When in fact the person using the 7th fret harmonic may be using it correctly. Most people can't tune within 2 cents. I think that a subset of this advice should be: don't use a 7th fret harmonic more than once or error will accumulate. Avoiding harmonic tuning completely makes the assumption that the guitar is built and adjusted to better than 2 cents. Thanks for the comment, but you have misunderstood what is meant by '19th fret assisted harmonic' This is played by fretting the string at the 7th fret then playing the harmonic with the right hand, by touching the string over the 19th fret with i-finger while plucking it with a-finger. The resulting note is exactly one octave above the seventh fret note. The same applies to the 14th fret assisted harmonic which is exactly one octave above the second fret stopped note. I do explain this in the text. The rule about not using the 7th fret harmonic absolutely applies, and my method is entirely consistent with this. The 19th fret harmonic is identical to the 7th fret harmonic in every way. It is a perfect 5th from the open (doubled). If you want to make a rule about the 7th fret, then you would need to include the 19th fret as well as it leaves you with exactly the same error. There is another suggestion about using another 14th fret assisted harmonic. This will lead to the same kind of error as the 7th fret and 19th fret. Only worse. If you are going to use a harmonic, the one you should use is the 7th fret harmonic as it produces the very closest interval to that of equal temperament. So the worst advice was about the 14th fret. However, since the error does not accumulate, using that approach might just be better than using the fret which may have more tolerance error than the error from just. That's ok, on an electric only. Make sure to agjust the action of your guitar to as low as possiable. This helps me play faster. Steel strings have more problems than nylon because of their stiffness. They don't behave like 'perfect' theoretical strings. They also have more upper harmonics which are not perfect multiples of the fundamental. All of this affects the relationship between measured frequency and perceived pitch. I agree with you that if you can make something sound 'better' then go for it. But you have to be careful if you're playing with or for others that your idea of better matches theirs. Equal temperament is the best compromise we've got, especially if playing in many different keys. And over the restricted range of a classic guitar (3.5 octaves) it works very well, and better than any alternatives. But piano tuners have always known that the extreme octaves are perceived out of tune if they are strictly tuned ET. The 'True temperament' guitar neck is an interesting experiment. I'd want to try it for myself before commenting. It also wasn't clear from the demo exactly how to tune the open strings. Thanks for the link. Great article on tuning the gtr, which, by the way, has been referred to one of the guitar groups I subscribe to on Linkedin. So, I take it you stance is that our ears--or pitch perception--is the problem, no? Then this might call for delving in to that topic: pitch perception and musicians. Are guitarists' ears the most 'out of tune' or are all musicians? I'd like to hear your take on this if you care to look into it. Again, stimulating article to say the least. Hi Gordon - yes. Always use one master string as a reference, and never tune with 7th fret harmonics. Can this method be applied to alternate tunings? Brandon - there are any number of things people do. The great thing about non-scientific methods is that one guy's non-science is as good as the next, so everyone can be an expert ;) I suggest tuning to equal temperament (as per article) and sticking with it for several weeks, before trying variants. You may even find you like it. There is no reason on earth why changing the scale length by .25" should affect the ease of tuning, provided of course that the frets are properly placed and the action reasonable. Sometimes my guitar drives me insane. Especially my Les Paul. IMO 24.75" scale guitars seem the most difficult to intimate properly. My Strat sounds pretty good overall though with its 25.5" scale. The Les Paul however has lots of quirks. I try to get the G and B strings compromised to where an open G and open D both sound fairly in tune. I've read that some people tune both E strings true to pitch and the rest slightly sharp like one or two cents. Maybe Ill try that out. Ever hear anything bout that? I'm not quite sure what you mean, but I think you're probably trying to optimise the open strings, D G B (2nd inversion of G major) and E G# B (root position of E major). Classical harmony teaches that 2nd inversions are technically discordant. The fourth from the bass is considered a discord. I'd suggest listening to the root position G major, using strings 3 (open), 2 (open), 4 (12th fret harmonic). Most attempts to optimise for particular chords or keys only serve to foul up other chords or keys. Hence the master A-string method. Actually I'm using an electric. The Master A string method has really helped me out a lot though so thanks, but for me I still have to tweak the G and B strings until they sound a little bit better to me. Then again, maybe my ears are just hearing things wrong and I am in fact tuning them in pitch when I think I'm tuning them slightly flat. DB - My guess is that you are using an acoustic guitar with the bridge bone angled so that the string length decresaes slightly as you go from 6th to 1st. Am I right? I've never been convinced that this is a good feature. Classics have the bridge parallel to the nut and are genuinely equal temperament instruments. I tune the D string just barely flat from the 5th fret on the A string. I then tune the G a hair flat from the D string. Then the B and E strings just slightly flat of the G string (but in tune with each other). Maybe I'm crazy, or maybe there's a reason this works (possibly having to do with the fact that when we play the guitar each note has overtones that don't correlate with the "even tempered" tuning system that the guitar was designed for. Any comments on this, positive or negative are much welcome. Thanks for the insightful article, Paraglider. One thing is puzzling me, though, about Master A-String tuning, & here's what's confusing to me. If the 7th fret harmonic should not be ever be used to tune, why then is it okay to use the stopped 7th fret of the A string to tune the two open E strings? Hi mooseman - I think the gains far outweigh the losses though. Most non-western music is based on melody and rhythm, with harmony often little more than a drone. Of course the melodic lines can be very subtle, based on very complex scales (I'm thinking of Indian Ragas mainly) but this hasn't been taken away - it's still alive and well for those who want to play/listen. In much of Arabia, where the intervals used in the scale do not lend themselves to harmony, you get the very strange phenomenon of full orchestras playing in unison behind star singers. Thanks for commenting. I now use equal temperament tuning and am happier than I have ever been with my guitars. Hi Aficionada - It should always be possible to tune the open strings of any guitar. If, after that, it will not play in tune on the fingerboard, the problem could be bridge adjustment (on an electric) or string quality. If the guitar really has misplaced frets (rare) then no, there's no way to get it in tune! I LOVE this Hub!! I'm so amazed at the information. I've always been fascinated by, but definitely unlearned in, the physics of sound; this inspires me to learn more. It also inspires me to check and re-check, and re-check again, the way I tune a guitar. But I have an odd method anyway. I have never been able to hear the "beats" that are described as the definitive signal for out-of-tuneness. I'll keep listening. A little question: on some of the cheap-y electric guitars that some of my (beginning) guitar students have, I have found it nearly impossible to get the 6th string correctly tuned. Is that the sort of problem you referenced in mentioning the cheap 'souvenir' guitars from Costa Brava? Is there any hope for tuning them? You do get what you pay for with electronic tuners! Always buy the best there's around and learn to understand when you are off pitch. As I have mentioned in my other threads, I have never been satisfied with my tuning, and I was blaming this on my ear. Now I realize that is was all because I was using the 5th string harmonic as the main reference note. Its amazing the lack of information on this subject. It seems that most teachers prefer to give the lessons by ignoring the tuning beyond basic introduction and concentrate on the pieces leaving the pupil to find out for himself in his own time whatever method is more suable for him. Amazing...why have I not found this before? I have been playing all day, and I can't say how grateful I am for your great tutorial. I have been doing this harmonic tuning for nearly 25 yrs. Your advice has helped my guitar to finally sound the way a concert "Rodriguez" should sound. I will be for ever in debt... Now I can finally get on with the playing of the pieces which is the true pleasure. Hi Skywalker - the one to beware of is the seventh fret harmonic, as it is not in the equal tempered scale. The fifth fret (double octave) is OK. Good luck! Great article! I used the Master A-String method on what I thought was a hopeless acoustic (or, at least, untunable by myself) and it sounds phenomenal now. Appreciate the info. Thanks Lars. It sounds like you are the type of reader I was writing this for! I learned the tuning-by-harmonics "trick" probably 20 years ago, and have been using it ever since... with the attendant problems you describe. I later learned enough about "just" and even-tempered tunings understand that the harmonics method could not be perfect. But I never realized that the fretboard was constructed for an even-tempered tuning, so that tuning by harmonics put me in conflict with the physical design of the guitar. It all makes a lot more sense now! Hi Maita - keep playing, a little a day is all it takes! This has to be the most detailed article on tuning that I have ever seen. Thanks! A lot of people never hear about it and so they rely on 7th fret harmonics, which result in out of tune! Wow, I didn't know about this aspect of guitar tuning. Thanks for the hub. My pleasure. Do you play the Oud by any chance? I just reach over and use my right hand. It's never been a problem. Yes but, in this case you are adjusting fretted strings. So what hand do you use to turn the pegs? Is this the same method but using D as the MAin string? 1. Hi McNulty - the most important thing is never to use 7th fret harmonics for tuning. The B on string 3 fret 4 should match the open B exactly on a well set up guitar though. Excellent!! I'm still not thrilled about the G-B relationship but this is the best compromise by far from what I've tried. The G is the worst offender on the guitar because it is the one that needs the most intonation at the nut....where there is none. But many people tune the B string to the 4th fret on the G string and then can't figure why they keep "touching up" their tuning later on. It is nice to see someone cover this so comprehensively. I found this hub for the second time while contemplating one of my own. I have a "fuzzy" understanding of equal temperament, because I abandoned my mathematical talents when I left college (long story). I use a "Master A" technique which merely seeks to achieve a balance between E/A form chords, and G/C form chords, which seems to be the universal busker-method where I live. I've gotten pretty good at tuning by the beats of P5th intervals as well as unison/octave. Beats which are "in tune" have a memorable tempo. Hi Marcin - Playing a melody instrument (e.g. flute) or singing along with a guitar or keyboard is a very good way to improve the aural skills, because you've got to make all the adjustments and on every note. The guitarist can tune up before the piece but not during it, so it's up to the flute to play in tune. Can be difficult if the temperature keeps changing! Thanks for the article! I actually knew some of the things you wrote but it helped me understand them better. I play the guitar but my ear is not very good. There's no way I can hear the inaccuracy of the equal temperament. Some people hear when some instrument (or a singer) is out of tune in a song (even if it is only slightly out of tune). I could never hear it. It's strange but such things like timbre, loudness or duration of the note can confuse me. Is this possible to improve the aural skills? Many faces, all looking out through an African woodcarving's eyes... I sometimes think if I hadn't dabbled in so many things I might be really good at something. But then I wonder if that would have been more satisfying. I suspect not. Thanks (as always) for the read. This hub makes me wish I had taken my music more seriously. A long time ago, my brother tried explaining the Pythagoras comma to me when the piano tuner came and all I could think about was how to get out of practicing those scales! Hi Joe - good question. If the strings are in perfect unison, the beats will sound like slow tremelo, not like vibrato - i.e. the amplitude (loudness) will go up and down, but the pitch will not change. Also, the timbre (tone quality) will fluctuate, as the two strings will not support identical overtone ratios. On an acoustic guitar, you cannot eliminate amplitude beats. Personally, I like to play the master string then damp it and immediately play the other string. You can hear if the note sounds sharper or flatter. Does this mean that if I, for example, fret the 5th string at 5th fret, and play the open 4th string, I should NOT rely on beats to help me to hear that they are unison? That when they are indeed unison, I might actually still hear beats, and that tuning to eliminate the beats may actually result in them being out of tune? Thanks William! Glad to receive a comment on this one at last. I get lots of visitors from various guitar and recording forums that have bookmarked it, but then they go back and discuss it in their own place. Hope your daughter enjoys it. My daughter is a pianist too, and plays for her school assemblies. I'm not a musician, Paraglider, but my daughter is. I love music, though, probably because my father played piano all his life. There was always music around my home. This sounds like something she would be very interested in. I'm sending it along to her.